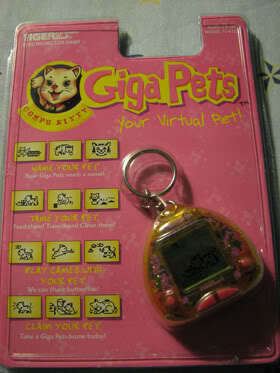 Giga Pets are another form of Virtual Pet that was released shortly after the original Tamagotchi. 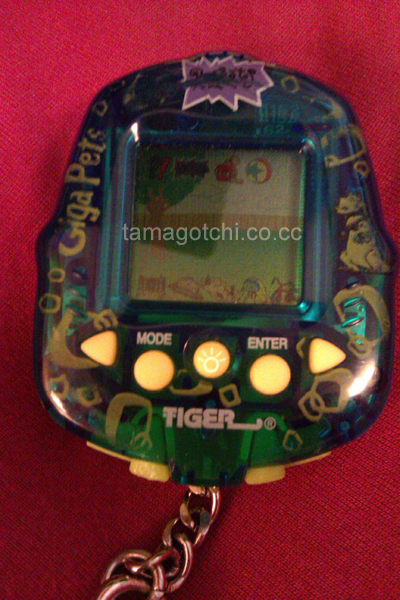 The features are in English and Giga Pets were manufatured by Tiger Electronics (now owned by Hasbro, I believe). 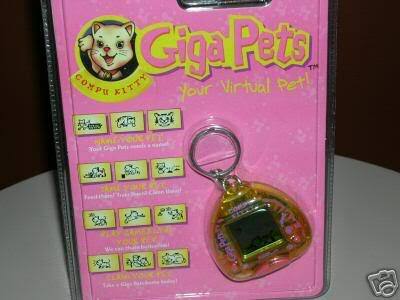 Hasbro recently came out with a newer edition of Giga Pet but with completely different features, and animations and it hooks up to your television set, I assume for more advanced game play. 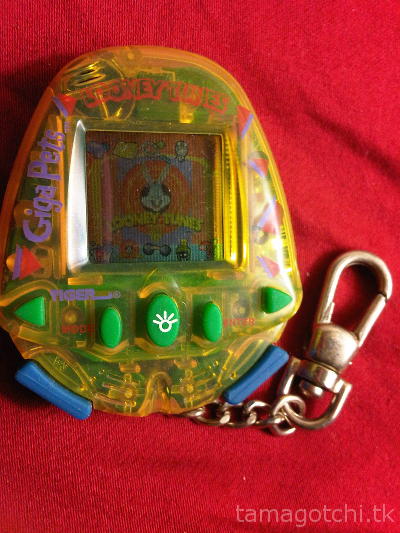 I do not own any of the newer editions, but I do have a few vintage Giga Pets. 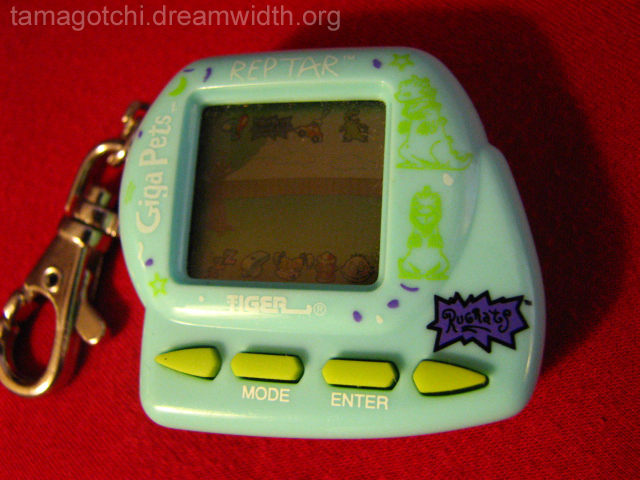 The old style of Giga Pet originally had the Nano Pet programming with all of the exact animations and features. Then for some reason the company changed the pet. The characters were the same (dogs, cats), but were animated differently, and they came out with new characters (koalas, monkeys, Disney, Rugrats, etc). 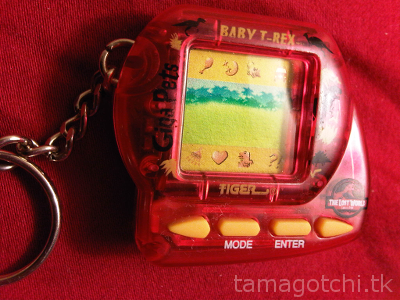 They functioned a little differently in that you raised one animal (just like the Nanos) instead of an alien that is always shifting shape (the Tamagotchis). The sounds were different, too. For instance, the monkey made a real monkey noise instead of just chirping like virtual pets usually do. As a result of this new programming game play also became more difficult. It became very hard to keep the pet's happiness up. It gets fatter the more you care for it. The skinnier it gets the sicker it usually gets.I found that playing with it more and feeding it less treats kept it healthier and happier for longer. If you let all the levels go down it is exceedingly time consuming and difficult to get everything back up to a healthy state. 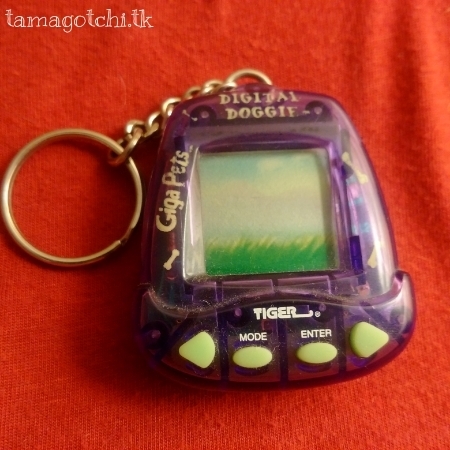 That said, Giga Pets are very unique and I do like the game play. If you pay close attention to the pet all day then it doesn't become a problem. 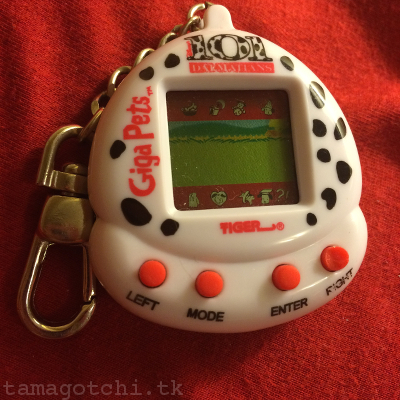 There is no pause feature on the older Giga Pets and they were one of the first pets that gave you the option of naming your animal, which is something the Tamagotchi didn't incorporate until the newer connections came out in the 2000's. The characters take a very long time to grow. It takes a few weeks to reach adulthood. 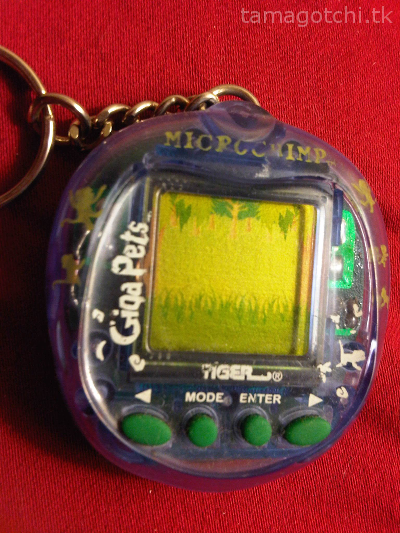 It was also one of the first virtual pets to come out with a "training" feature. 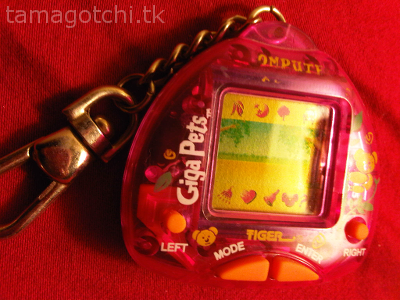 Eventually they also came out with multi-gigapets where you could raise more than one animal/character at a time. 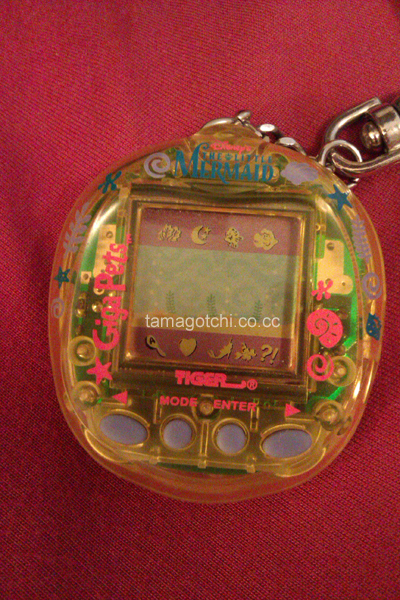 Overall, I give this pet an 8 out of ten for uniqueness, cute characters, and interesting shell designs. Looney Toons Multi-pet. I haven't played it yet, so I'm not sure which characters are on it.